The pendex is a fixed appliance that is designed to drive back your teeth to correct your bite and improve the alignment of your dental arches. 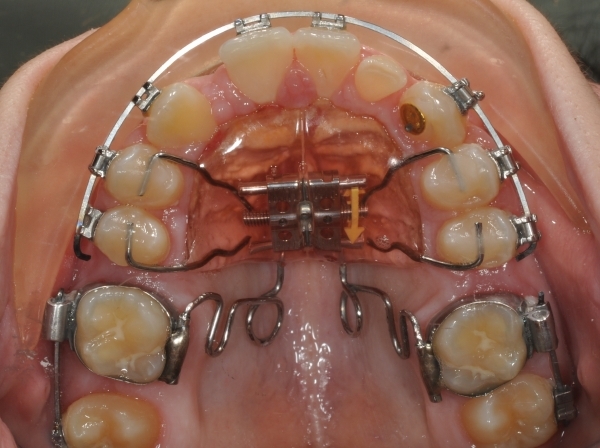 It consists of an acrylic button that covers the front of your palate, and a small Nickel Titanium spring that connects the bands on your back teeth. There is a short adjustment period and speech may be temporarily affected.